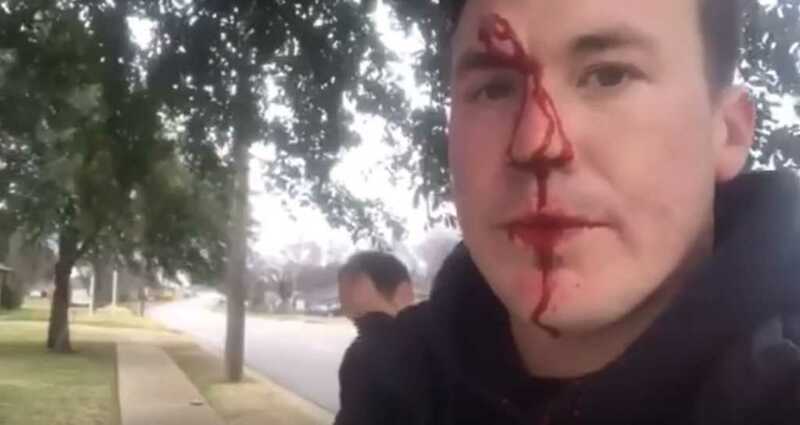 A Texas pro-life advocate is recovering at home after being viciously assaulted by a man who took issue with his ministry outside an abortion clinic. Since June, “Abortion Clinic LIVE” founder Ryan Roberts has been heading out to Whole Woman’s Health in Fort Worth to try and save unborn children. That’s exactly what he was doing last Friday when a passerby brutally beat him for preaching the love of Christ. Thankfully, Roberts caught it all on tape. Local pastor Mark Dickson of SovereignLOVE Church was there with Roberts when the savage assault took place. He described the shocking incident to Faithwire. Clearly stunned and with blood pouring down his face, Roberts took a few minutes to compose himself before continuing with his attempts to sway people from terminating the life of their unborn children. It was a remarkable show of courage in the face of such a random and savage attack. Astonishingly, Roberts also revealed that he was stunned that it was this particular man that chose to attack him. Why? Because the suspect claimed to be a Christian himself. As Dickson highlighted, when he and his fellow pro-life activists seek to herald the Gospel in such an emotionally charged environment, they are never quite sure how people will take it. Dickson revealed to Faithwire that Fort Worth Police have now identified the suspect and noted that charges will be filed in relation to the committing of a religious hate crime. We will keep you posted with any updates on this highly disturbing story.